A man has been jailed for a number of offences involving burglary and robbery in Milton Keynes. Daniel Chard, aged 31, of High Street, Higham Ferrers, was convicted on August 14 and sentenced at Aylesbury Crown Court on November 10. He pleaded guilty to two counts of burglary, one count of taking a vehicle without consent, one count of making a false representation, one count of robbery and one count of attempted robbery. He was sentenced to a total of 6 years’ and 6 months’ imprisonment. The court heard the offences were committed between July 8-13, Chard was involved in a series of offences including two burglaries, one in Pennyland, Milton Keynes on 8 July and another in Wickstead Avenue, Milton Keynes on 6 July. On 8 July Chard entered a property in Pennyland, Milton Keynes and stole bank cards and a Ford KA. Chard’s conviction for taking without consent is in relation to the Ford KA stolen from the property. On 6 July Chard entered a property in Wickstead Avenue through a window and stole electrical items. 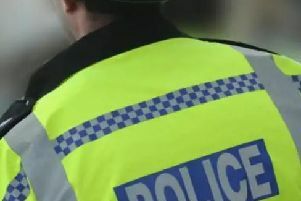 Chard was also involved in a robbery on 13 July at McColls in High Street, Stony Stratford, and an attempted robbery in Brickhill Street, Giffard Park on 8 July. During the robbery Chard stole an amount of cash from the till following a struggle between Chard and the member of staff. On 8 July Chard threatened a member of the public with a broken drinks can in Brickhill Street, however nothing was stolen. The victim, a 29-year-old man, sustained minor injuries to his head and his back during the incident. Chard was charged with the offences on 15 July 2017.